The Sundridge Sunflower Festival is the largest annual summer festival in the Almaguin area. 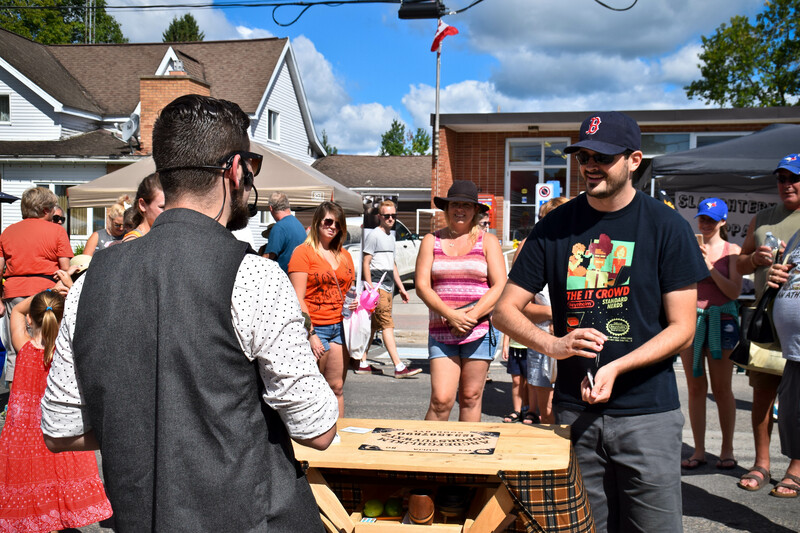 Located downtown in beautiful Sunny Sundridge, Ontario the Sunflower Festival features live music, family activities, great food and a street market with over 100 vendors. With new activities and events added every year this year’s festival will be better than the last. For the last 6 years, we have been very successful attracting an attendance of approx. 5,000 people annually. That means more than 5 times the population of Sundridge came out to enjoy the Sunflower Festival each year! We hope that we can continue this success in 2018. The 2018 Sundridge Sunflower Festival is currently in the planning phases and the planning committee is working hard to organize, advertise and establish new exciting events for next year’s festival. This year’s festival will be held on Saturday August 11th, 2018. The real fun began on Saturday August 12th with the Sundridge/Strong Volunteer Firefighter’s pancake breakfast at the SSJ Arena (upstairs) along with the Strong Agricultural Society yard sale outside of the arena. Park at the arena and take the courtesy shuttle from the arena to Sundridge’s downtown/Main Street/Lion’s Park where the opening ceremony begin at 10:00 AM. The street will be closed to accommodate for the Main Street Street Market which will be in full swing. With over 90 vendors, you will be able to find just about anything from jewelry to lawn tractors. The bands will be playing on the Waterfront / Lion’s Park and Rusty the Clown will be walking the street with balloon animals for children and the young at heart. Down at the Waterfront / Lion’s Park there will be organized children’s games, a cardboard boat race, live music, other performers and NEW for 2016 a Watercross demonstration by the Ontario Watercross Association! The Lion’s Club will be having their annual BBQ at the park and be sure to check out the Splash Pad while you are there. Don’t forget about the Saturday Night Sunflower Festival Street Dance starting at 8:00 PM and hosted by DJ2. Here’s your chance to dance into the streets with great music and great people.